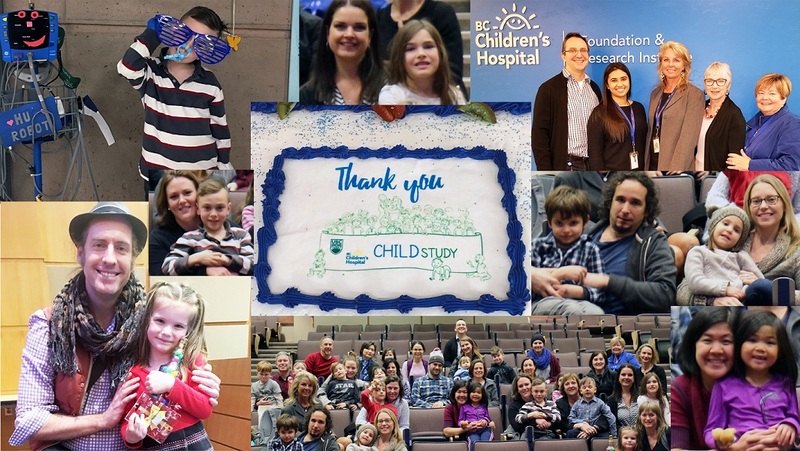 On February 15, 2018, the CHILD Study’s Vancouver team hosted a celebratory Town Hall at BC Children’s Hospital (BCCH) to mark the completion of the Study’s clinical assessment of all participating children at five years of age, and to share some of the discoveries that have resulted so far from CHILD research. About 50 members of families participating in CHILD attended, with many others remotely connected by webcast. Also present for the festivities was the CHILD “Hug Robot” (blood pressure machine), well known and loved by many of the children in the Study. The proceedings included the presentation of an illustrated CHILD storybook to each child as a gesture of appreciation for their participation in the Study. In the storybook, entitled “The Science Squad: Youth Helping Youth to Stay Healthy,” young participants in the CHILD Study, recognized as “Jr. Scientists,” help resolve an interplanetary health crisis—with a few close calls along the way, involving such matters as pee popsicles and the attempted theft of valuable poop samples. Vancouver site leader and Study Co-Director Dr. Stuart Turvey appears as Dr. Topsy Turvey. The BCCH Foundation generously supported the celebration, donating gifts, and interviewed CHILD parents about their child’s participation as part of a report on the event posted to their website: “Helping other kids lead healthier lives”: CHILD Study families advance allergy and asthma research. “We hope that when [our daughter] Tuesday grows up she’s proud to know that she was part of this and that she is helping other kids lead healthier lives,” CHILD Study parent Kristen Gagnon is quoted as saying in the BCCH report. “The CHILD Study has reached a huge milestone,” observed Dr. Turvey on the occasion of the event. In November 2017, the Manitoba site of CHILD staged a similar 5-year celebration. Teams at the other Study sites, in Edmonton and Toronto, are planning their own. 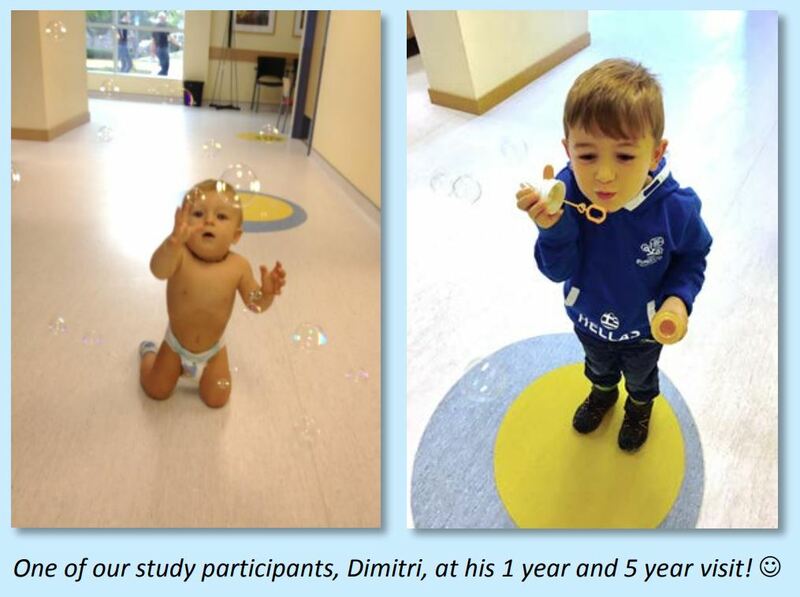 The fifth-year clinical visits were the originally planned end-point for the Study, but Study researchers have decided to extend the Study’s mandate and now plan to continue following its child participants to age eight and beyond.